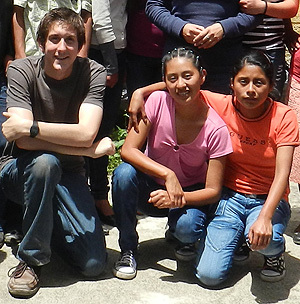 Summer research in Guatemala has been a dream of mine for as long as I can remember. 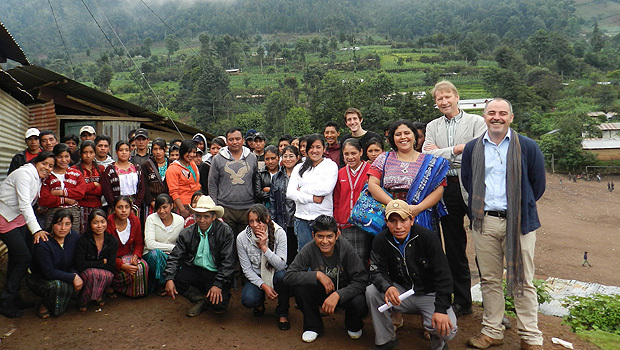 When I heard about the possibility of doing a project in a foreign country that would be financially backed by the Reynolds Scholarship, my thoughts immediately jumped to the study that I would end up conducting this past summer: researching two influential non-governmental organizations (NGOs) in Guatemala. I worked with Dr. Luis Roniger of Wake Forest and Dr. Claudia González of the University of Salamanca to organize the specifics of the research, focusing my efforts on the structure, function, and impact of the organizations with which I was going to work. I knew that the formal research element would be fundamental. However, I was always more interested in the experience than in the research. My Guatemalan experience was truly unforgettable. Having spent four-and-a-half months in Spain immediately before starting the research, I found Guatemala to be both a comfort and a metaphorical punch in the gut. While the language and some elements of the culture were the same, I noted a few important differences right off the bat: There was no running water and no electricity … at least when I wanted them the most. Fundamental resources were scarce. I felt the effects and fell ill during the first two weeks. I threw up for the first time in five years. Despite the distance from the picturesque Salamanca architecture and the exquisite Spanish paella, Guatemala grew on me slowly but surely. The country was beautiful, after all. I would wake up and run every morning at dawn to see the sun jet its first rays over the horizon as the puffy snow-white clouds meandered across the horizon, floating in and out of mountain peaks and volcano tops. The best of all was a trip to the Madeline’s lagoon, a small pond whose water cascaded hundreds of feet down in the form of a swift but powerful waterfall. The work of the organizations, especially of the coordinators of the organizations, was admirable. They had given up their lives for their people. They had given up their lives for liberty. They had given up their lives for their beautiful Guatemala. The opportunity proved to be extremely beneficial in that it helped shape my personal view on social service while at the same time aiding these two community-minded non-profits that are in desperate need of student support. My goal is to become my own version of Lucia and Daniel, two people who showed me what it means to enjoy life through service. Above all, Guatemala has become a part of my soul. One of the most touching moments was when the coordinator of one of MIA’s partner organizations gave me the Guatemalan flag. He said that it was the symbol of our friendship and of the intimate connection that I had developed with Guatemala. He knew how much that Guatemala meant to me after the nearly 90 days of investigation, and the flag will forever have a place in my room and in my heart until the day that I die. Now, as a second year student at Wake, I plan to use these experiences to find ways to give back to the two organizations that gave me so much and also to create outlets for social change within the Wake Forest community — a community that is always striving to build on its tradition of excellence.